Hey San Francisco, let’s e-bike! 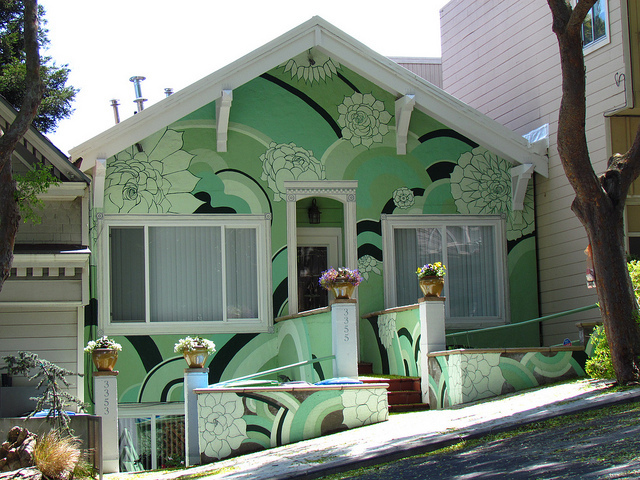 A gem in Bernal Heights – courtesy of Chuck B.
San Francisco’s geography is less than 50 sq. miles and about half of that is filled with hills which can make getting to destinations difficult by bicycle. You are very limited in the ways you can go around by bike and communities are separated by hills and pockets of seedy areas. Our public transit system is fairly unreliable. People are practically forced to own cars due to the lack of quality and reliable alternative means of transport which makes our city less livable. Our population has been growing at 1% a year (that’s 8,000 people per year) and 40K new housing units are needed in SF over the next 5-10 years. Will we be able to accommodate all the new drivers in the streets of SF when space is already limited and the streets already congested? We live in the greenest city with the most progressives in the country and it is unfortunate that we are not as far along in getting off our dependence on cars. We should all be getting out of our cars and riding our bikes whenever we can, if not walking or taking transit, but we still have quite a way to go in addressing the things that keep us from doing so. We have a prediction though. While it is unclear if San Francisco will actually reach its goal of 20% of trips made by bicycle by 2020, we see that biking in SF is only going to become truly mainstream if we can find a way to get all those people who live on hills to bike. Perhaps the infrastructure will eventually take care of itself, perhaps attitudes about biking will get better, but the hills will always be there. 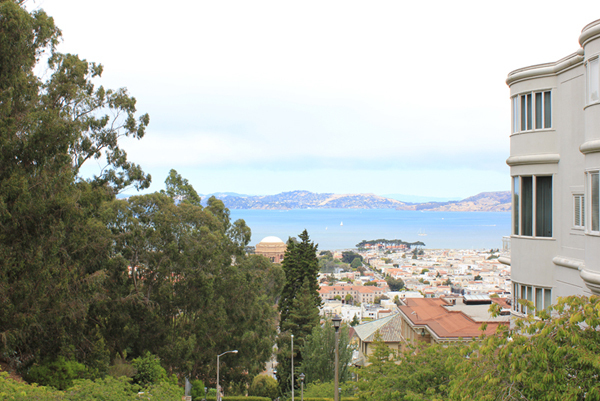 Getting all the people who live on those hills to bike would be like, well… moving mountains. But leave it to tech savvy San Franciscans to find a high tech solution. E-bikes are bikes which are assisted by electricity and they give you a boost while riding. While e-bikes were not invented here, we can see the folks of San Francisco quickly appreciating their virtues. Most of all, they making biking up hills practically effortless. E-bikes have been around for some time now, but the models on the market today are better than they were years ago. They are pricey (prices can range from $1,500 all the way to $4,000+), but we believe that over time, owning an e-bike could prove to be advantageous and worth the money. Gas prices will continue to rise and available car parking in the city is increasingly becoming more limited with the few spots that are left ferociously competed for. Owning a car will become less convenient for trips within the city. Bike infrastructure is also improving, albeit slowly, but any improvement will make riding bikes easier and that helps e-bike owners capture more utility for their investment. We aren’t completely sure this is what will happen. But we predict that if mainstream adoption of bicycling is going to happen, it will happen with the e-bike. Here is a great article on “the future of city travel” by Momentum magazine. Of course, the other factors have to fall into place to create a tipping point but at this point we are hopeful. 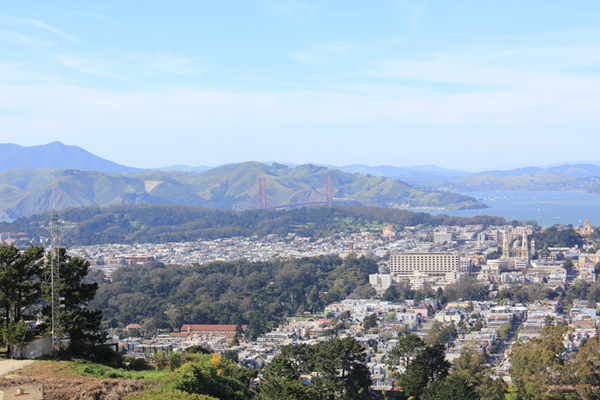 SF is one of the most scenic cities in the world and us cyclists are missing out on experiencing many of its beautiful gems by bicycle because they are up in the hills. We cannot reach them unless we have thighs of steel. But say no more. With e-bikes we can experience them whenever we like. So, let’s e-bike! Below are some of the amazing things you can see if you can get up those hills and the experience is so much better when you are outside on a bike than in the steel cage of a car. Here are some of the e-bikes that are currently on the market except for Farady Porteur which is launching in a couple of months. There is an e-bike for everybody, I mean literally for everybody. 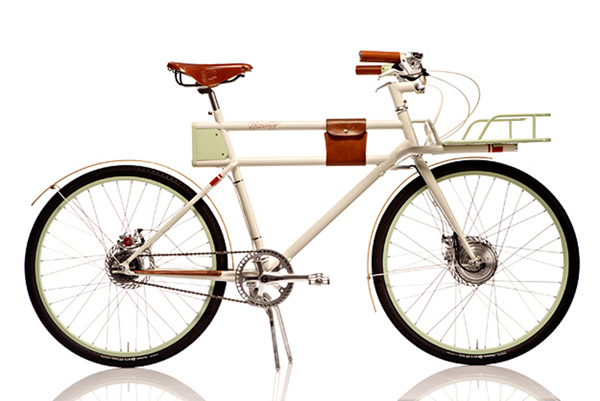 Faraday Porteur is a classic designed e-bike for the well-dressed. It is light weight for an e-bike at 39 lbs. 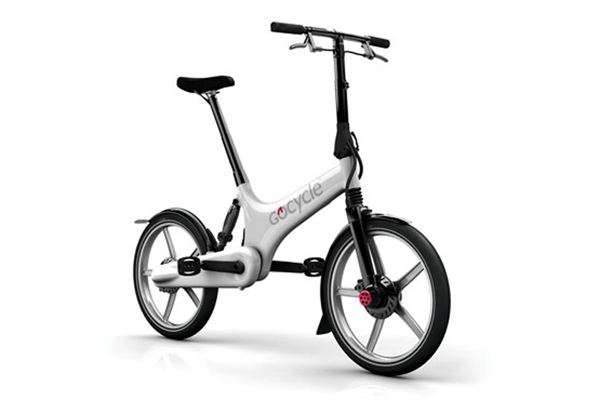 (17.7 kg) and has an 8 speed hub with a 195 Wh battery that can give you a 15-20 miles (24-32 km) range. 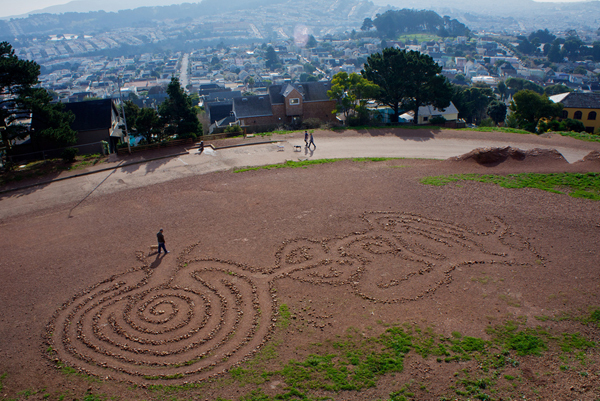 This one is made right here in the SF Bay Area. The counterpart of the classic Farady Porteur is this futuristic-looking Smart e-bike. It has a powerful Lithium ion battery of 423 Wh which means you can get up to 62 miles (100 km). It uses a carbon belt drive that reduces maintenance. Italwin Prestige Elite step-thru for the ladies with dresses or not. 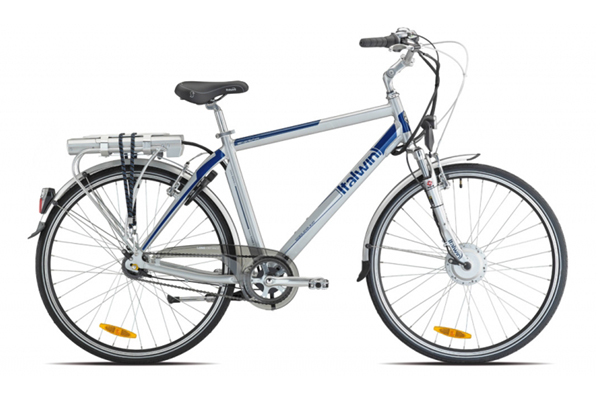 It comes in an aluminum frame with 7 speed gears, powered by a 200 W motor and an assisted range of 37 miles (60 km). If you like the Italwin design and you are a guy, here’s one for you called Eagle Elite with similar specs as the Prestige Elite. What about a beach cruiser? Yes, there is such a thing as a cruiser with a battery. It is called a Cruiser Lithium from Italwin. 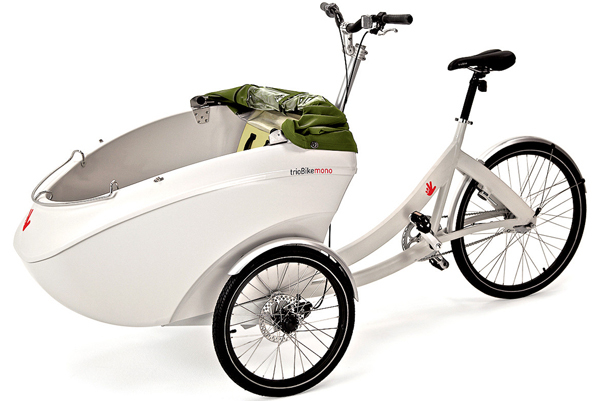 From the land of cargo bikes, Copenhagen, Denmark, TrioBike Mono E (also comes with more cargo space in the Boxter E model). 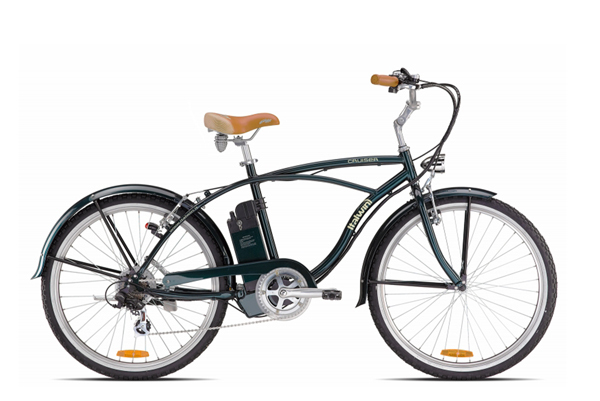 Mono E has a 250 W motor, disc brakes, 7 speed, and a riding range of up to 56 miles. The nice thing about it is that it comes in almost 1,300 color combinations from the seats in the cargo to the seat on the trioBike. 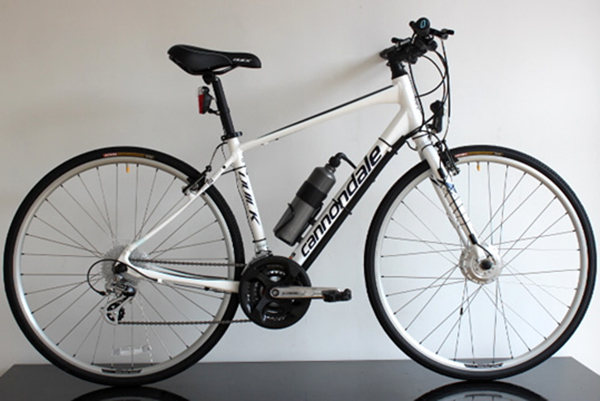 If you are a beginner or want a fitness bike, here is the Cannondale Quick 3. With Cytronex technology, 1.5 hours of charge will help you go 20 miles (32 km). 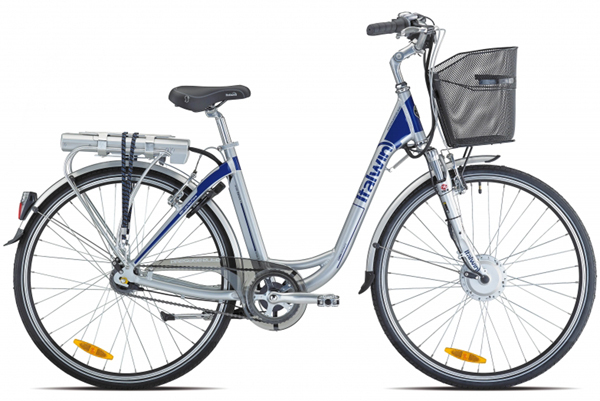 It is simply a hybrid bike with 18 speeds and you can use the assisted power if you want by just pressing the Boost button. Guess where is the battery located? If you answered the bottle, you are correct! 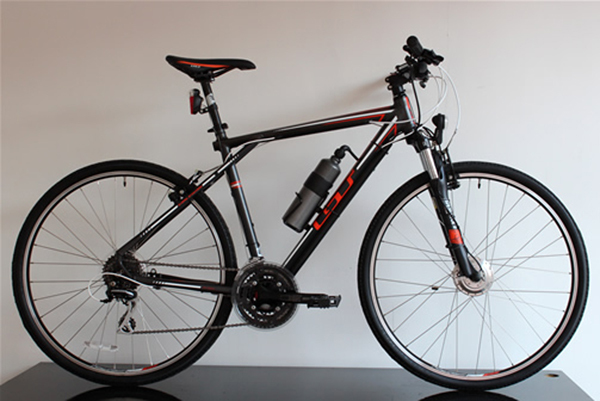 Above is mountain e-bike, GT Transeo 4.0 that has similar technology to the Cannondale Quick 3. Okay, you ask me, “Why do road e-bikes even exist?” Maybe the rider wants to challenge a pro cyclist? 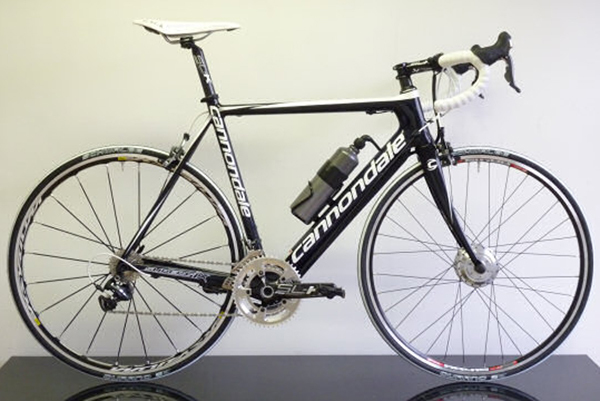 This Cannondale Super Six has all the best components of a road bike (full carbon frame set, Dura Ace groupset, etc.) 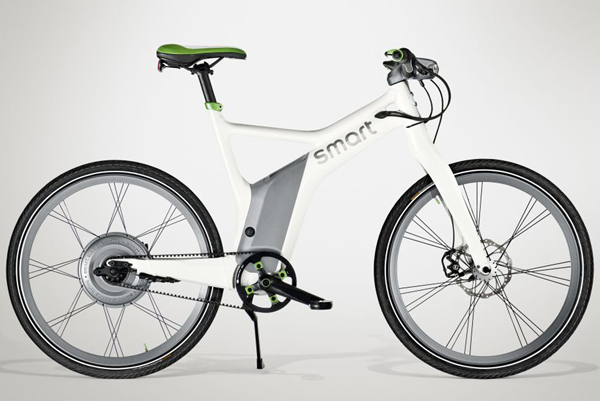 and comes in at 28 lbs (12.7 kg), the lightest e-bike around. Check out this fun video. All the modern technology you can think of is packed in this transit commuter’s GoCycle G2R folding e-bike. The G2R has a fuel gauge on the handlebar, 3-speed electronic shifting, hydraulic disc brakes, a riding distance of 40 miles (64 km), and a magnesium frame that makes this e-bike almost as light as any regular folding bike at 34.3 lbs (15.6 kg). For more info, watch this video. If none of the above interests you because you prefer to electrify your own bike or just have an electric motored trailer (Ridekick) connected to the rear wheel, that is also possible. There is one full service e-bike shop located in the city (The New Wheel) that can help you with installation. So San Francisco, let’s e-bike!